Even though Monday aka national chest/bench press day has passed, the training of the pecs is still a very valid topic any given day in Gym America. Perfect pecs are greeting you from every magazine cover, billboard or TV ad. So how come most people lack it? It is certainly not for lack of effort, if most trainees would receive 10 cents for every set of bench they did in their lives, they’d be retired. Let’s start with the physiology first: the main functions of the pectoralis are the movement of the shoulder joint. 1) It flexes and rotates the humerus. 2) It keeps the arm attached to the trunk of the body. In fact, I would argue that the flat bench has ruined more physiques and shoulders than it’s worth it. Instead I would switch to dumbbell flat bench press with a twist or floor presses. I have written about this before and I’ll do it again: floor presses are the ultimate test of strength for the upper body. Floor press is an all but forgotten exercise, but it is great for strength and mass. Set the bar at the lowest safety level at the power rack, which should be about 15-18 inches above the floor, and get under it. (If your gym doesn’t have power racks, change the gym. Seriously.) Choose a wide grip bench and press the bar from a full stop to full extension. You should treat each rep as a single, making sure you achieve a full stop at the bottom and the top. Since the pecs pull the arm laterally across the body, doing flyes is most likely a great idea especially for those among us with long arms. Personally, I believe that floor flyes done at the cable rule supreme. There is no way you can use momentum or let the shoulders drop into a precarious position. Floor flyes are a total must-do activation exercise that needs to be done first. Put the handles at the cable as low as possible and lay on the floor. Perform a regular fly, where your upper arms touch the floor but the elbows don’t. 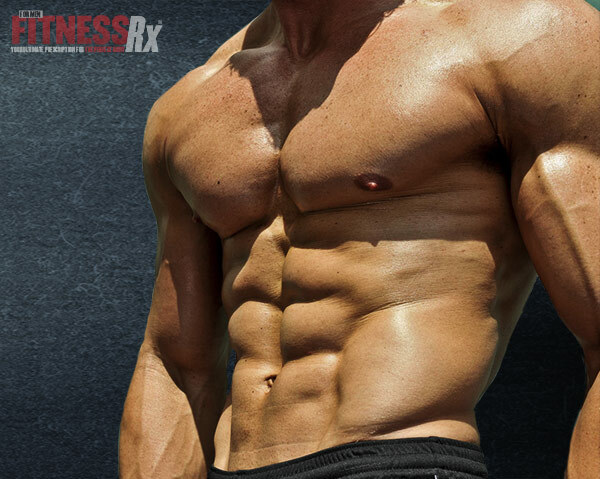 This will ensure that you activate the pecs from the beginning. You can vary in terms of bringing the hands together over your forehead or chest. As for all chest exercises, keep the shoulder blades pinched together, do not round the shoulders as you go up. Its chest day, not shoulders. Dips are a must if done properly. Ideally, if your gym has an old school v-shaped dip bar grab it at the outer end while facing away from it. Put the feet behind you and lean forward in order to get a deep chest stretch. Adjust depth according to your shoulder flexibility. 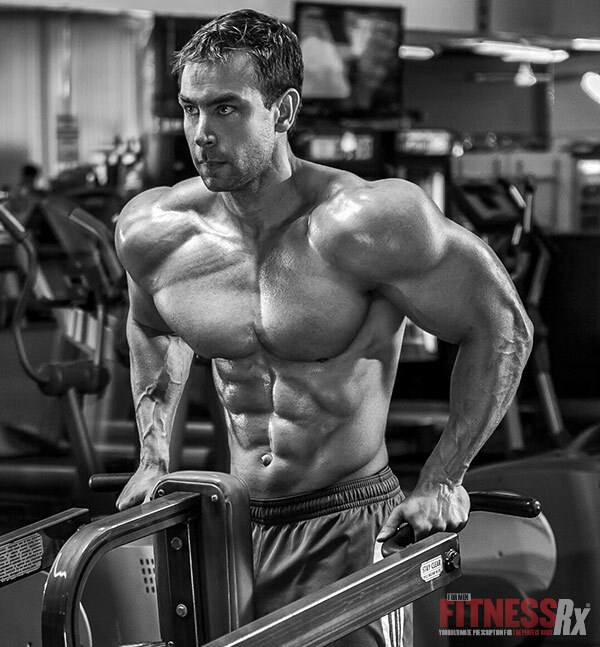 Technical pointers to get the most out of your pec training. 1.Pinch you shoulder blades together. The reason we are seeing so many hunched forward Neanderthal like physique is because most trainees roll their shoulders forward when pressing thereby putting strain on the anterior deltoid and reducing chest activation. Imagine you are holding a sheet of paper between your shoulder blades; this will put your shoulders into the correct position. 2. Apply inward pressure. Whether you are pressing a barbell, a dumbbell or doing a push up, you should always imagine that you are bending a bar together (bending the floor if doing push ups) this will keeps the pecs continuously engaged and make for better results. 3. Train your rotator cuff – do the dumbbell test. Sitting on a bench put one leg up, hold a dumbbell against your knee/ inner thigh and rotate out ward. If you cannot use 10 % of your incline barbell bench weight, your cuff is weak and you are on a fast track toward an injury. 4. Do a pull over first. When pressing most athletes think of chest, shoulders and tris but the lats actually play a very important role in moving the bar. When you take the bar out of the rack, your first motion should be a pull over. This will accomplish 2 things! activate your lats and 1. Put the bar into proper position across the chest so you are not bench toward the neck. The lats then work as stabilizer during the motion. 5. Train your back to open the chest. I use light sets of pull downs or chin-ups during the chest workout in order to get a dynamic stretch in and regain my range of motion. There you have it, a new way of looking at an old topic. One of the most sought after personal trainers in New York City, Maik Wiedenbach is a world renowned Olympic athlete and two-time Muscle Mania Champion. Educated on a swimming scholarship from Fordham University, he holds a double Masters Degree in History & Philosophy and is a member of the Hall of Fame at Fordham University. Fluent in multiple languages including Dutch, English, French and his native German, he is the author of several fitness books as well as an Adjunct Professor teaching Exercise Sciences at New York University.